MSI is a company that most of us know well but mainly for motherboards, GPUs, and gaming laptops. MSI has its fingers in many other pies, though; it releases monitors, desktops ,and peripherals, too. 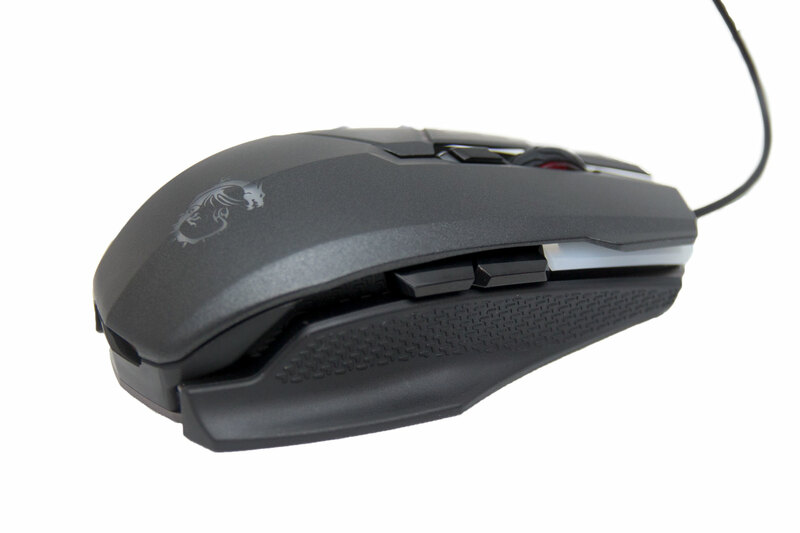 The latest mice from MSI are the Clutch GM60 and Clutch GM70 gaming mice, the former wired and the latter wireless. We've managed to get hold of the GM60 to review, so let's see what it can do! The Clutch GM60 comes boxed with a rather large bundle of items. We have the mouse, two cables, four side grips, and two top plates. Having taken a look around the internet for this bundle, it seems there is some confusion as to whether this mouse comes with a carry pouch or not, as some spec sheets mention it and some don't. Our sample did not come with a carry pouch, so it seems to be reserved for the Clutch GM70. The mouse looks rather nice indeed; it is quite aggressive but wears its look well. Something that MSI probably won't want to hear is that it actually reminds me of certain Asus mice. 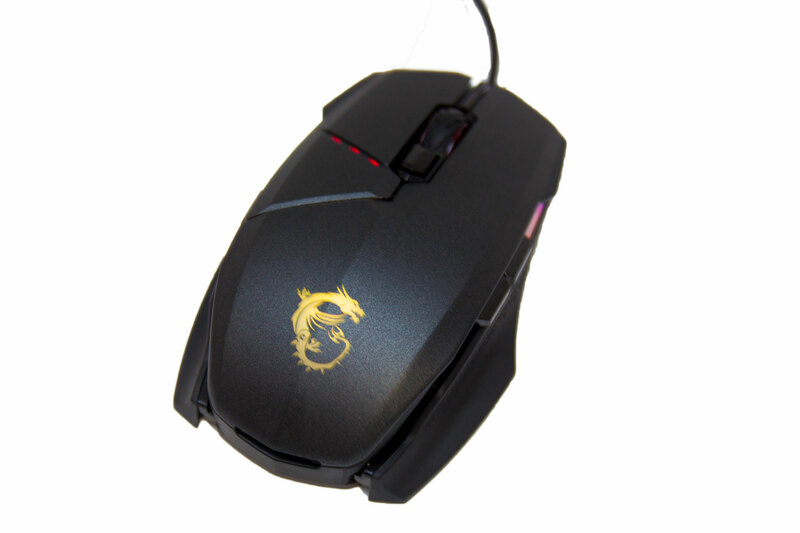 The mouse is also quite heavy at 115g, so if you're looking for something nimble this will not be for you. 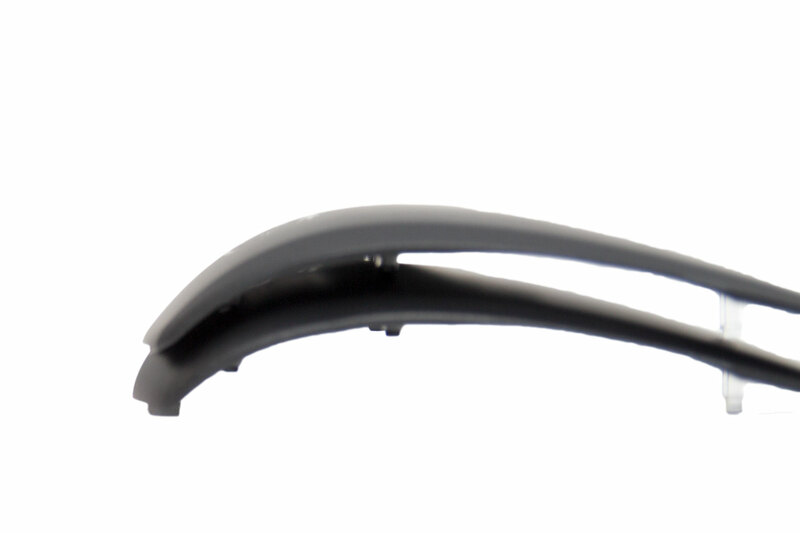 The mouse is ambidextrous and features two buttons on each side. These buttons are in a good position, especially when using a claw or fingertip grip, but I did find it hard to reach the furthest button away, as I have rather small hands. In total, the mouse has eight buttons: the two on each side, the main left and right ones, the scroll wheel, and a final button directly behind this. By default, this changes the DPI, but it can be changed in the software. 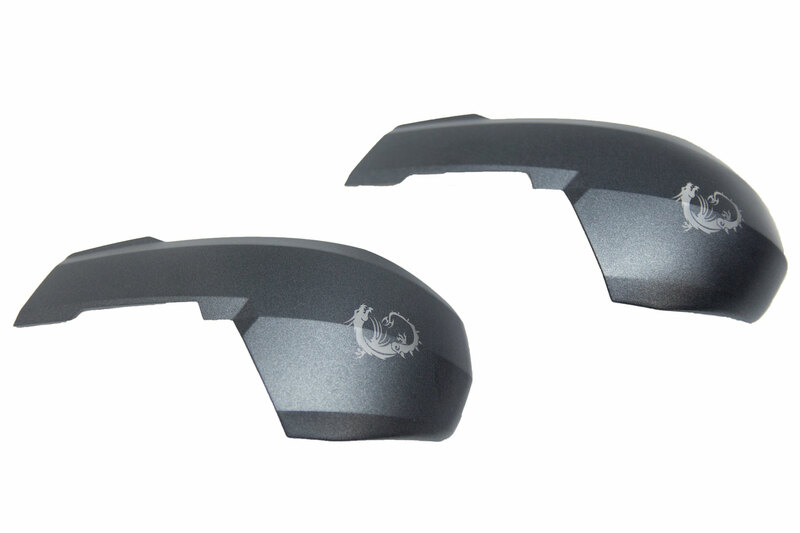 The main mouse buttons use Omron switches which are very well regarded; they have a satisfying click to them and are rated for up to 50 million clicks. 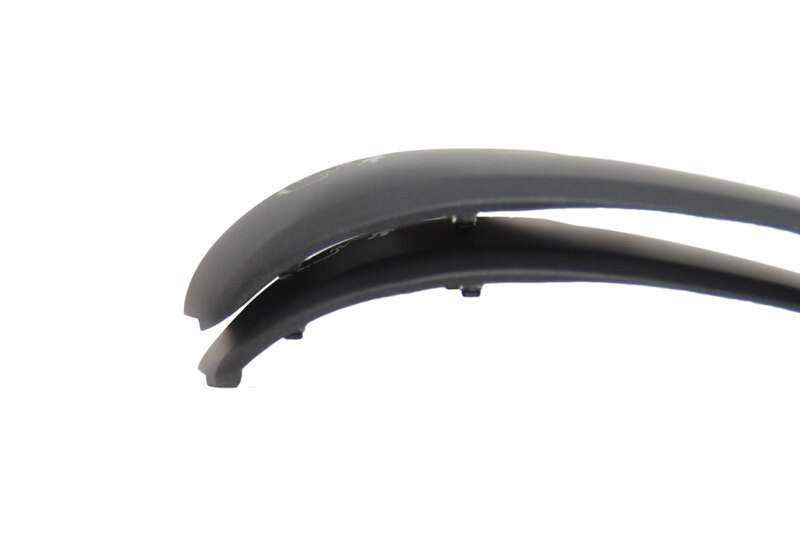 The MSI Clutch GM60 can be taken apart so that it can be customised to suit your grip. Everything is held together by magnets and the grips and top plate are easily changed. 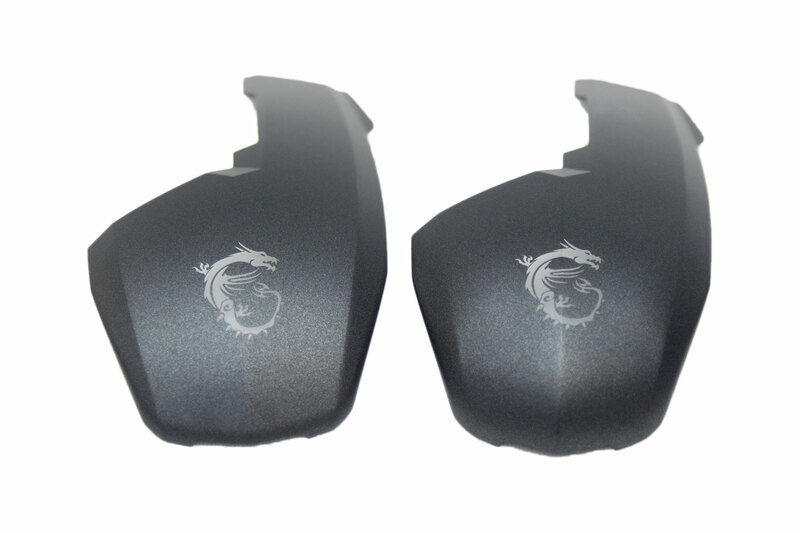 The side grips are noticeably different, but the top plates are very similar indeed. In fact, while taking the pictures I didn't notice the difference for quite some time. The top plates are different, though; one has slightly longer "feet" that attach to the mouse which means it sits higher than the other. This increases the size of the mouse sightly for those with large hands or who prefer a larger hump. The four side grips come in pairs of two. 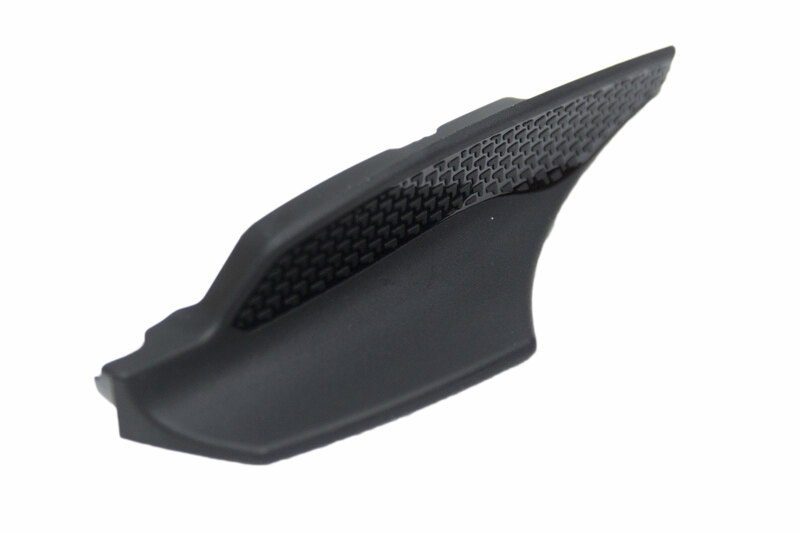 The first set is pre-attached to the mouse and is quite small and ergonomic. The second set is much larger and ensures that you don't drag your hand across your tracking surface. You can, of course, mix and match the side grips and top plates to suit your hand. This is always nice to see, but once you have found the configuration you like, you probably won't use the other grips again, making them a little bit of a waste of cash. 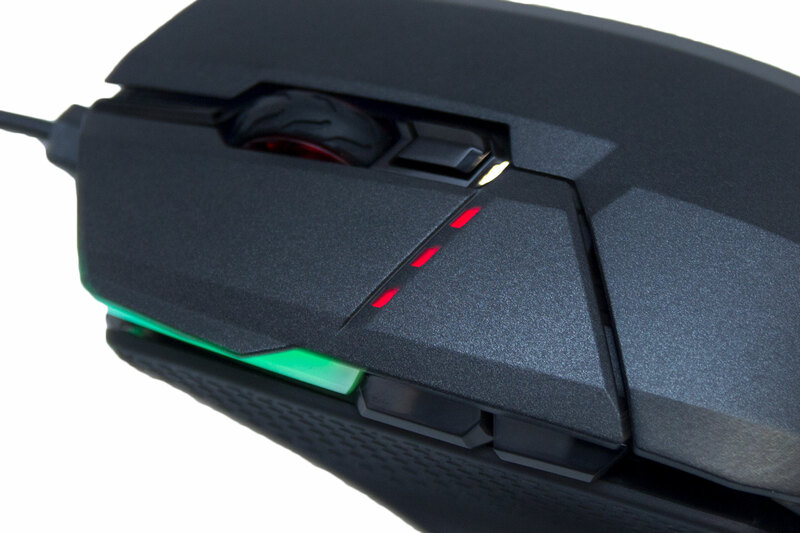 If we take a look at the underside of the MSI Clutch GM60, it features the MSI dragon logo on a metal plate, which is what gives the mouse its weight as well as a very sturdy feel. 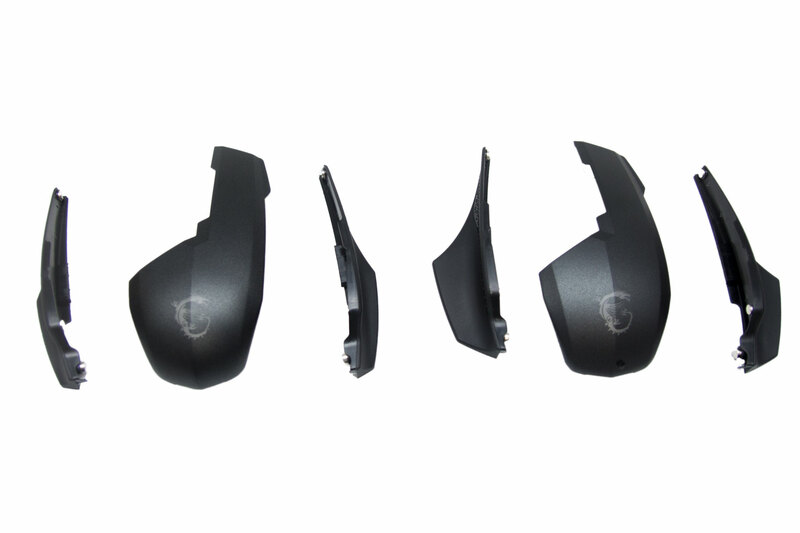 The mouse also features five skates ensuring that it glides over your mouse surface smoothly. The GM60 uses a PMW 3330, which is a little bit of a letdown at this price point. 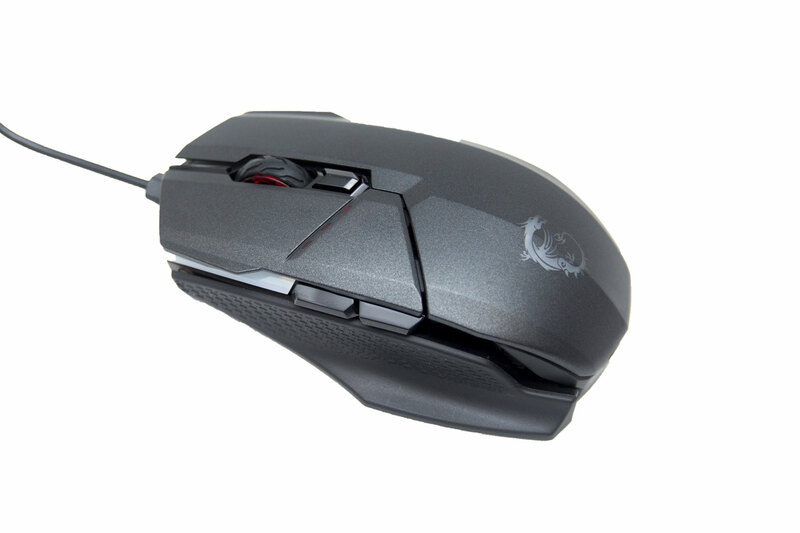 Many other mice at this price features the PMW 3360, which is superior. In fact, the wireless version of this mouse also features the 3360, but it is much more expensive. Still, even though the PMW 3330 isn't as good as the 3360, it's still a very good sensor, tracking on multiple surfaces without any problems. Throughout our testing it did exceptionally well; there was no stutter or ghosting at all. 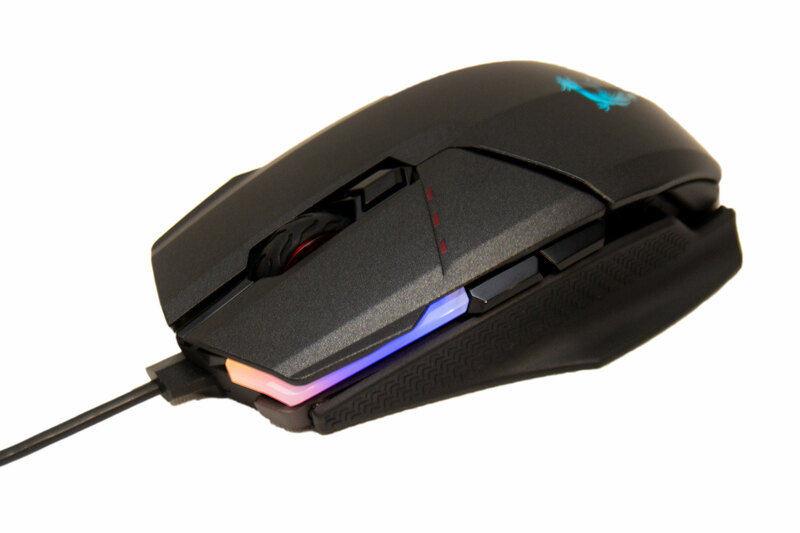 The GM60 features three different lighting zones: two on each side of the mouse and one at the rear. These lighting zones are split up, and you can control 11 LEDs independently, this can create some rather impressive lighting effects. There are also plenty of preset effects included in the software; we will take a look at this later. 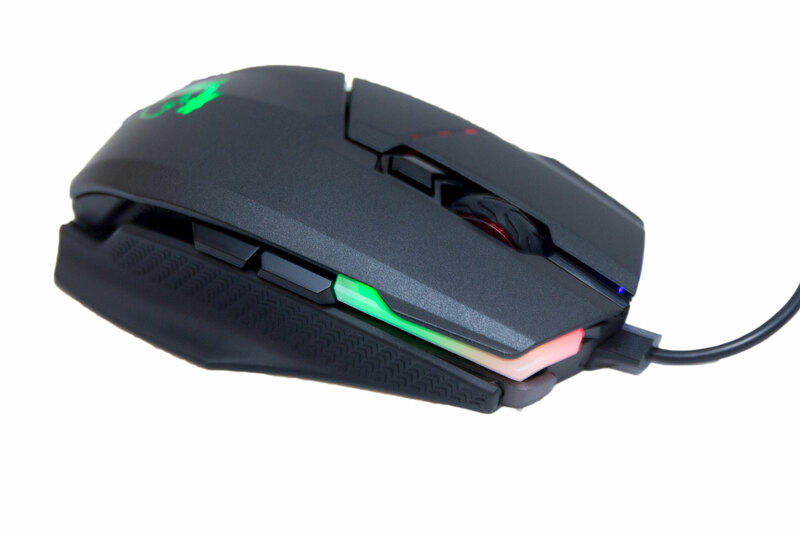 There are three other LEDs on the top of the mouse, and these are to indicate your current DPI level. You can scroll through four DPI settings using the DPI button directly behind the scroll wheel. There are two cables included as well. The first is one-metre long and unsleeved, and the other is two-metres long and softly braided. This again gives users a choice, although we're unsure why the unbraided one is half the length of the other. The hardware seems to be perfectly fine, so let's check out the software.